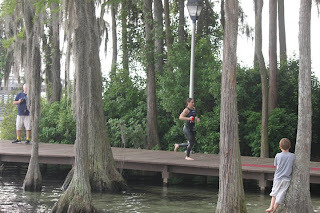 I am sorry I am late in publishing this post about my race at White Lake over a week ago. I actually wrote the bulk of it just after the race but did not manage to get it into the computer until now. Sorry for the delay but I hope you enjoy! I last competed in the famous White Lake 1/2 Ironman when there was only 1 in 2006. It was a break though race for me as I went from a 5+ hour 1/2 ironman (2004 White Lake 5:14.46) to a sub-5 hour 1/2 ironman (2006 White Lake 4:49.03). 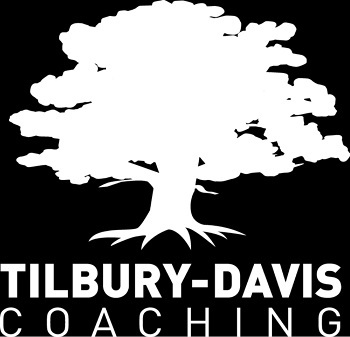 I contribute my improvement to training with some of the greatest athletes in Charleston at the time. So, wow, 5 years later I find myself at the same race that jump started my distance tri "career." Naturally I had this feeling there was a lot riding on my performance at the race this year. After 5 years, despite ups and downs personally and athletically, I looked at this race as a show and tell of where I had been and where I was going. Race morning, with my secret weapons lined up - oatmeal and coffee - I did not have much to do before I wheeled out the transition area of the race. Looking at the lake, I was filled with dread watching the fog lull over the calm water. The week prior the entire swim portion of the race was cancelled. A race this long without the swim would be morale crushing for me. Not only is the swim my best leg but it is also my warm up for the bike and run. Thanks to the race director's experience with the week before, I was pretty confident with the announced 45 minute delay we would have the swim. After standing around listening for the next announcement we were cleared to start the race . . . with the swim! The swim course was different this year with extra buoys marking and counting every 100 meters. I will be perfectly honest here I was not happy about the extra buoys. Open water swimming incorporates sighting technique just as a bike course with turns requires a certain amount of bike handling technique. But I recognize and accept the swim is the most challenging portion of a triathlon for 90% of racers so if the extra buoys provide some added comfort and confidence for the majority of the competitors then I will not complain. BUT what I will complain about is the behavior of one of the open category racers. One particular individual ducked under the water 10 secs before the gun went off and continued to swim underwater away from the start line. His head broke the surface of the water just before the gun went off and all of us on the front line saw him. I have seen drafting packs in a race but I have never seen one individual so blatantly cheat. When he passed me on the bike in a drafting pack of three (for which he received a penalty), I was not at all that surprised. When I passed him on the run, when calf cramps reduced him to walking, I felt victorious. Chalk one up for karma, woot! woot! It saddens me that a fellow triathlete lacks so severely in moral fortitude. It is just a local race but cheating is cheating no matter what scale it is on. Anyway, other than that, the beginning of the swim was uneventful. I made the mistake of wearing the wrong goggles. Before the fog became an issue I packed my metallic Speedo Vanquishers. I could not see a thing with them. I went around the first buoy and completely lost the line. A fellow racer pointed me in the right direction (he probably went on to win the race because that is how karma works :) ). I ended up 2nd out of the water in just over 27 minutes. My first transition was a bit of a cluster as I got stuck in my wetsuit and was rolling in the grass to get it off. Then I put my foot in my cycling shoes with my salt tablets still in them. I definitely needed to get those back out (luckily they were in a container so no toe jam!). Minor things that I probably would have worked out at Belews, but it is ok to be a bit rusty for the first race of the year. Ok . . . so . . . now . . . I am off on the bike! The bike course was remarkable empty and lonely. With only one swimmer ahead of me I knew it was only a matter of time before the first big cyclists blew by me. But 20 minutes went by before the first person passed me, and then 10 minutes, and another 10 minutes. I tried to keep my eye on the three guys in front of me but I really just watched as they pulled away. Then I was back by myself. My bike computer was not working which was a good thing. When I hit a mile marker I go to entertain myself with calculating my speed and estimating my bike split. While I felt like I had a good pace going, I was really surprised so few people had yet to pass me. Then three guys passed me at once in a little draft pack. Guess who was right in the middle of them? I saw these same three guys at mile 42 in the same draft pack. Coincidence? 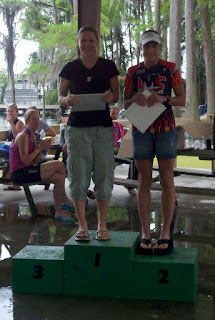 I did not have time to dwell on the draft pack was I was then passed by another female in the open category. Drat! Now I had to quit dilly-dallying and start working hard. I was hoping to at least make it through the bike before I got passed but she was moving fast! She got about 100 yards ahead of me and then the two of us just kept our positions. I probably picked it up and she probably relaxed a bit but the two of us just stayed like that for the rest of the bike. To have someone to ride with, even my competition, was a nice break from the boredom and loneliness I was feeling earlier. I attempted several 30 second sprints to try to bridge the gap but it wasn't working so I just settled in and tried to keep her in my sights as I prepared for the run. Ah, the run. Well known by now, not my strongest part of the triathlon, but I embrace it as it is often where races are made or broken. Luckily my bike-run transition was a lot smoother than T1 and I was surprised to see Stacey still only 100 meters ahead of me as we turned out onto the open road. I felt comfortable when I first start running, comfortably slow. I just tried to stay relaxed but I could tell Stacey was already pulling away from me. Rather than pick up the pace I tried just to stay comfortable and make sure I was listening to my body for its fuel and salt needs. I felt a few small cramps so I consumed an extra set of salt tablets in the beginning of the run just prevent any cramping issues toward the end of the run. The run course was flat, an out and back wrapping around the lake. Since it was an out and back course I would have to wait until the turn around to get a feel for the distancing between competitors. When I saw Stacey running towards me after she passed through the turn around she looked so remarkably strong. But then something happened. I was running along and in front of me unfolded a scene with my competitor on the ground and a medic running towards us. As I ran passed unsure if she was ok, Stacey looked up and offered me a cheer off encouragement. I found out after the race she had been sick with the flu in the weeks leading up to the race. The incident took the wind out of my sails but I managed to continue to push toward the finish line. Miles 10 through 12 were the hardest but then that last mile came around and I was so ready to be finished. Crossing the line in first place was an outstanding experience but bittersweet. I was concerned for Stacey, not knowing what happened. I respect and admire her as an athlete and competitor. Her ability to cheer me on despite her own struggles shows class and what it means to be a true competitor. Congrats to everyone who raced, especially Giant 1 who dropped a whopping 21 minutes in this race from last year. Maybe this race will jump start his distance tri career too, like it is did mine 5 years ago!